The Players of IMVU Article - Virtual Worlds Land! Rate this Article What do players in IMVU do? What can you find when you join the virtual world? IMVU has proven to be one of the most popular online virtual world simulators in the market. There are virtually millions of people that are online in the sim from various parts of the globe every day. That’s not a surprise because a virtual world practically gives a person a lot more freedom, which somehow makes the “game” very addictive to some. Virtual worlds actually appeal to a wide demographic. However, you’d need to be 18 and above in order to access virtual worlds like IMVU. This is because some rooms unfortunately have adult content, and people younger than 18 are not allowed to and should not be able to view that kind of content. So, kids, keep away from this one – don’t worry, there are other virtual worlds that are kid-friendly so check them out instead. In any case, there are various types of personalities that you can encounter when you sign up for the virtual world. There are those that like to party or socialize with other virtual world players. In IMVU, this is done by visiting a 3D chatroom – a graphics-based chat room where people are not solely represented by their usernames but also by their avatars. There are common chatrooms where everyone gathers round to discuss things they are all interested in. For some, these are simply places where they can hang out. Chatrooms, at least in IMVU, are simply virtual representations of places where people commonly hangout in real life. Anything goes in a chatroom, but you’ll have to look at if a specific hangout has a rule or is meant for people of specific interests. You might be surprised if you just pick a room randomly and find out that, among others, it’s adult-oriented and not to your taste. Take your time to explore a chatroom. Every once in a while, a player will want to have a “private chat” with you. You can accept that invitation. When you do, you’ll find yourself transported to a private penthouse. This represents the player’s personal place. You’ll also find out that you can customize your own private penthouse as according to your preferences. 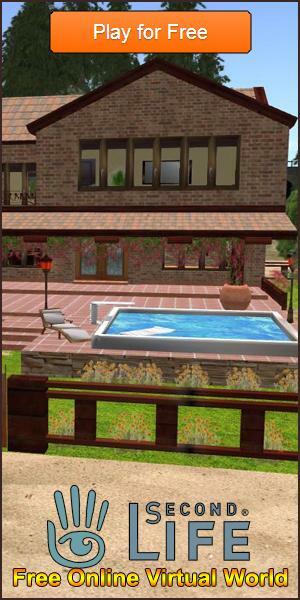 You can decorate it with furniture, and there are a lot to get by with IMVU. Another thing that players can do is to accomplish quests, especially at the start of the game. Just like in MMORPGs, quests will give players free experience and in-game cash. You can use these in-game cash to purchase furniture for your private chatroom, or to customize your avatar further. Of course, if you want, you can inject a certain amount of real cash to your in-game reserves. In a virtual world like IMVU, you can form groups with like-minded individuals and have a party. You can even create your own MMORPGs with virtual worlds, and play it with other players who are interested in the same thing! Dress your avatar up into your favorite MMORPG character, and you’re all set! There’s a big world waiting for you when you play IMVU, or any other virtual world in particular. Just take care not to neglect your life in the real world, as these games provide so much freedom that they could be addictive.